You can also see destinations that have non-stop flights from specific airports. For example, search ‘flights from New York’ and Google will return a number of routes from New York’s airports as well as which airlines fly from the airports. You can click ‘Show all non-stop routes’ to get a full list of destinations; from there you can click in to get more flight details. 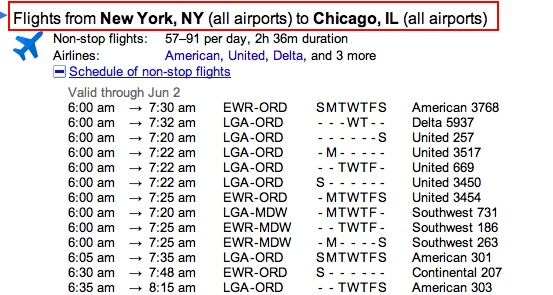 What do you think of Google’s new flight search feature? Do you think it will be useful when you are searching for flights?